Building the land transport of tomorrow takes more than just steel and concrete. We need people with a genuine passion for land transport who enjoys the opportunity to enhance the travel experience of commuters and road users. In LTA, you get to define and create the networks that will form the arteries to keep Singapore moving. With over 5,000 employees engaged in a wide variety of projects ranging from mega construction projects such as the Downtown Line and projects on the cutting edge of technology such as the ERP II, to formulation of policies to boost green transportation, LTA offers diverse and exciting opportunities for you to grow into a competent land transport professional. 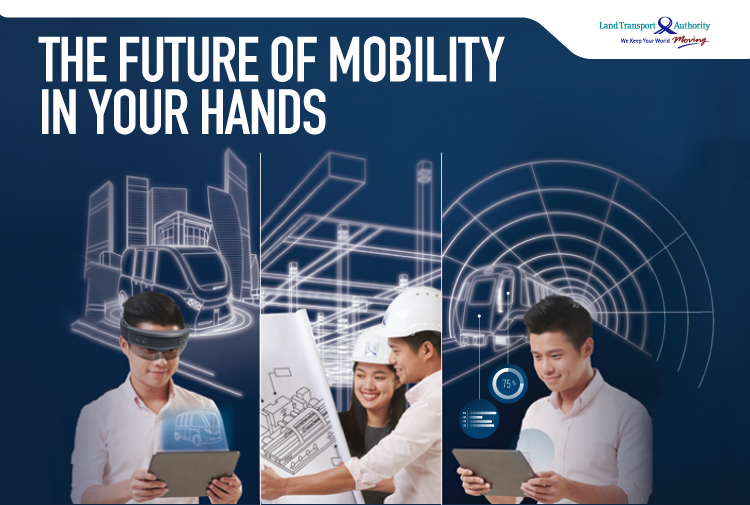 Create a legacy by leaving your mark on Singapore’s land transport landscape. The Land Transport Masters Scholarship is designed to groom and develop our next generation of land transport professionals in a speciality area. Candidates should already possess or is expected to graduate with a good honours degree. You will be required to study full-time. Duration of studies should not exceed 2 years. You will be required to serve a 2 to 4-year bond with LTA, depending on whether you choose to study locally or abroad, and the duration of studies. As an LTA scholar, you will get to participate in high-level corporate committees, play a part in management’s decision-making, and demonstrate your flair as a leader amongst many others. Scholars with no work experience will get to experience different functions of land transport through job rotation while mid-career scholars will strengthen their expertise by deepening their skills in their chosen area. Your career will benefit from our strong network of international experts as well as opportunities for overseas exchanges, attachments and training.